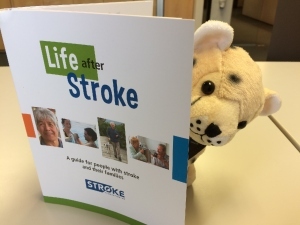 If you or your class is learning about stroke, we can help. We have lots of resources and information we can share with you. There's also a lot of information on this website useful for schools - we can help you find what you're looking for. We don't mind if you use any of the information on this site, as long as you say you got it from here. We might even be able to arrange a staff member to visit your school to talk about stroke. We could even bring Tere the FAST cheetah cub with us! Looking for a quick crack-up that also teaches you about how to recognise a stroke? Watch Johnny Tuivasa-Scheck's video. Johnny is a real legend who lets us use his video for free - what a good dude! If you're on Spotify, have a listen to our Inspiration! playlist. Please contact us on 0800 787653 if you want any information about stroke.